Matter can be simply defined as any thing that has weight and occupies spaced. By this definition, it can be deduced that everything in the universe is made up of matter. Examples of matter includes: the plants and the animals around, food we eat, Air we breathe, Likewise, we ourselves are examples of matter. Mass is defined as the quantity of matter in an object. It value does not varying from place to place. Matter exists in three physical forms , namely: solid, Liquid and gas. Solid: This form of matter has a definite shape and definite volume. Examples are: chair, a human being, stone, rocks, shoe , paper etc. Liquid: This is a form of matter that has a definite volume but not a definite shape. It's assumes the shape of its container. Examples are: kerosene, water, petrol, diesel, urine etc. Gas: This is a form of matter that has neither a definite shape or definite volume. It fills the entire container. Examples are: hydrogen, oxygen,nitrogen, butane , carbon (IV) oxide, methane etc. All matter can change from one state to another. The most common change of a substance that undergoes change of state is water(liquid state). Ice block (solid state) ----->when water undergoes freezing. Steam (gaseous state) ----->when water undergoes evaporation. Properties are characteristics with which a matter (substance) can be identified. For example, sugar dissolves the water and the solution tastes sweet, while iron has a metallic lustre. Physical properties are properties associated with physical change. Examples are: change of state [melting,boiling,condensation,evaporation etc. ], density,colour,tastes, odour, solubility, hardness, malleability,ductility etc. Chemical properties are those properties associated with physical changes. Examples are: rusting, burning, oxidation, reduction etc. 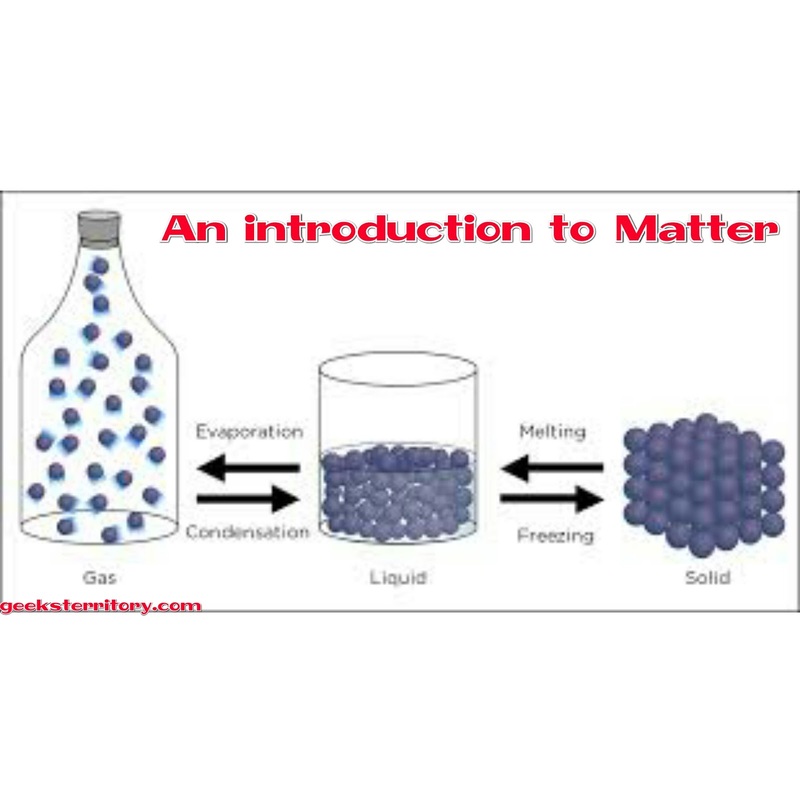 Some uses of matter as it pertains to our everyday life. 3) We use matter to aid transportation --e.g car, train, bus etc. 4) We use matter to improve our crops --e.g Fertilisers, tractors, bulldozer etc. 5) We use matter to improve our eating habits --e.g spoons, forks, knife etc. 6) We use matter to pass information from one person to another --e.g; telephone, radio, fax etc. 7) We use matter to sustain our life --e.g; crops, animals etc. 8) We use matter to know the time at a certain period --e.g; clock, watch etc. 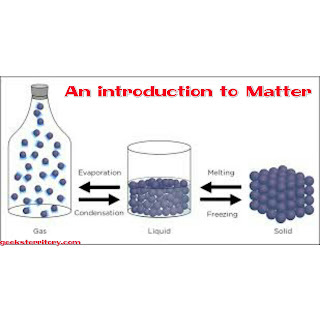 9) We use matter for entertainment --e.g; mp3 players, DVDs etc. 10) We use matter to store information --e.g flash drive, compact disk, computer etc. Matter is everything. It is independent on shape, size and density. As long as it has weight and occupies space, It is matter.